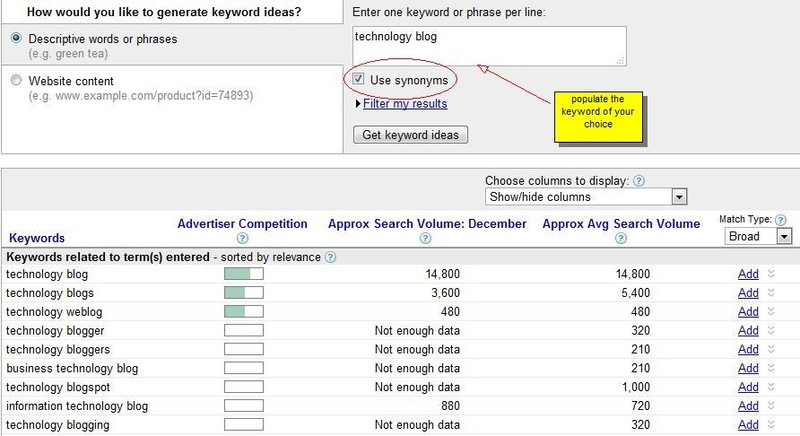 Keyword analysis should be the first task before starting your own blog. Whether you are going to use WordPress, blogger or other platform, keywords will play a significant role for the SEO of your blog. 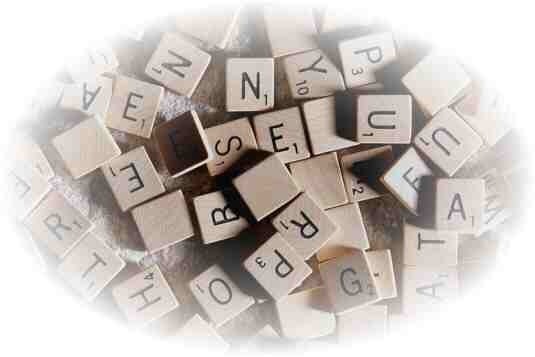 Here are some keywords tool to help your out in your analysis. 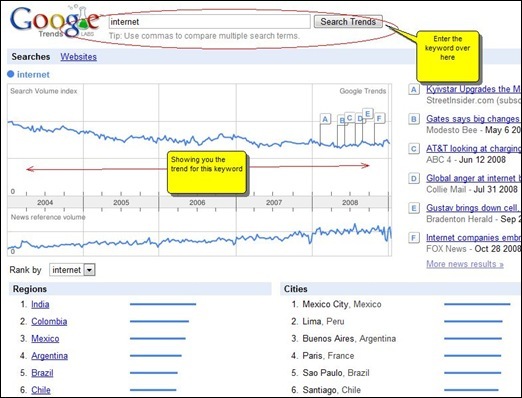 Below these results, you also get the relevant keywords related to your input keyword. 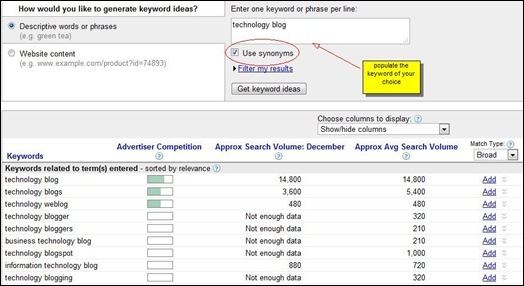 Use the above results to analyze and evolve some really good keywords for your blog or website. This is a very powerful tool from Google and strictly recommended from Internet Techies. Why I am talking about Google products is because they are free and they belong to a search engine. You can choose the region of your choice over here. Internet Techies suggest you to analyze the keyword in the same region which you have selected in Google Webmaster for your blog. This tool will let you know the placement of your blog for a particular keyword in around 6 search engines. By using this tool, you can get the feel that whether your blog needs more density of that keyword or not. I check the blog Internet techies for the keyword “Themedreamer” and the got the below result, where it is shown that Yahoo/AltaVista are having Internet Techies on their page 3 for the keyword Themedreamer. Keyword analysis is very important before starting a blog, so go ahead and use above tools to catch the first page on search engines.